Biodemography and Social Biology recently published a new paper on height and the longevity of Sardinian men. This study supports over 12 previous longevity and over 20 mortality studies that have found that shorter height promotes greater longevity. Sardinia is known as a blue zone because it has a remarkably high percentage of long-lived people. Sardinians are shorter than people in the rest of Europe and tend to live longer. Within Sardinia, there is a group of 14 municipalities that exhibit higher longevity compared to the rest of the island. In addition, as height declines among these municipalities, longevity increases with the shortest municipaliity, Villagrande Strisaili, having the greatest longevity. Professor Poulain, University of Louvain (Belgium) and Dr. Salaris, University of Cagliari (Italy), led a study to determine whether there was a relationship between height and longevity among almost 500 males born between 1866 and 1915. 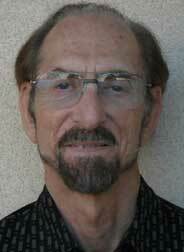 Thomas Samaras, a San Diego longevity researcher, coauthored the paper. Their research found that shorter men lived about 2 years longer than taller men. The results of the study were published in the journal, Biodemography and Social Biology (4/26/12).